Arguably one of the hippest, most rollicking joints in town, the Hard Rock Hotel Las Vegas houses one of Vegas' hottest concert venue and pool complex along with some chic nightspots, restaurants, and retail outlets. It's also a rocking place for military folks. 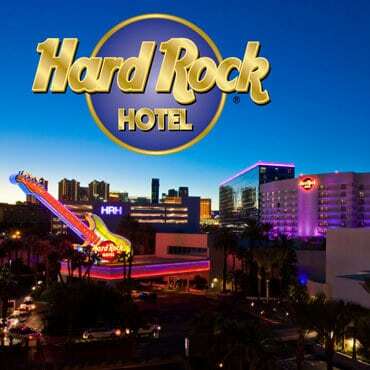 With the Hard Rock Las Vegas military discount, guest can take 15% off their room rate, based on availability. For more Las Vegas resort military discounts, promotions, and special deals similar to the Hard Rock Hotel Las Vegas military discount, be sure to check out our awesome listing of over100+ Las Vegas resort, casino, and show military discounts and deals. Success! Now please check your email in a few minutes to confirm your subscription.